Stadtbibliothek Stuttgart is definitely not your run-of the-mill city library. This modern architectural masterpiece designed by Eun Young Yi is a colossal new building that opened to the public just last month. Taking on the form of a giant two-toned Rubik's cube, the glowing design is a beacon for architecture and book lovers alike. The structure’s facade looks like a formation of colorful glowing cubes, while inside the space contrasts with a simple and minimalist style. In its white, cavernous, window-speckled hall, stairs connect floors through random pathways, allowing visitors to explore their surroundings while they search for particular books. Built into the structure is a reading cafe and a childrens play area that even provides bins of books for kids to rummage through! The space is truly dedicated to literature and its readers, and is a fantastic contemporary construction that certainly lives up to its hype. The interior emanates a relaxing reading space, a cavernous window-speckled hall. 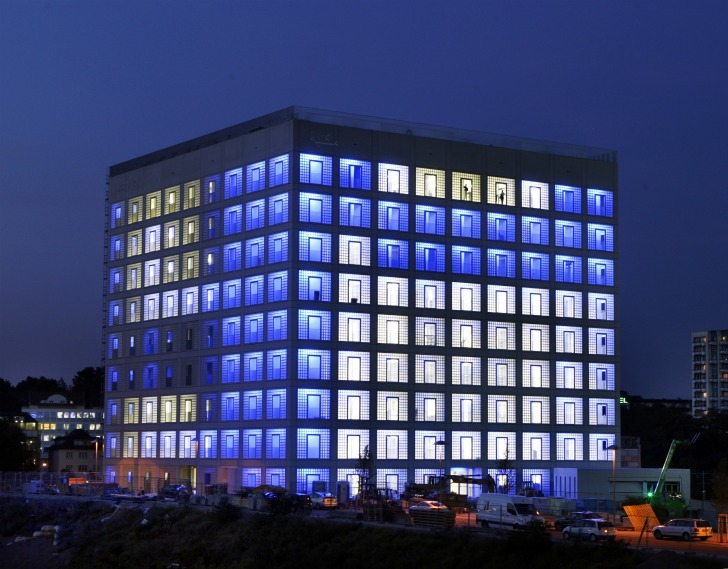 The exterior facade of the structure is made up of colorful cubes which light up at night. Stairs connect floors through random pathways, allowing visitors to explore their surroundings while in search of particular books. Built into the structure is a reading cafe and a childrens play area which provides bins of books for kids to rummage through! The space is truly dedicated to literature and its readers, a fantastic contemporary construction which certainly lives up to its hype. The structure's facade looks like a formation of colorful glowing cubes, while inside the space contrasts with a simple and minimalist style. 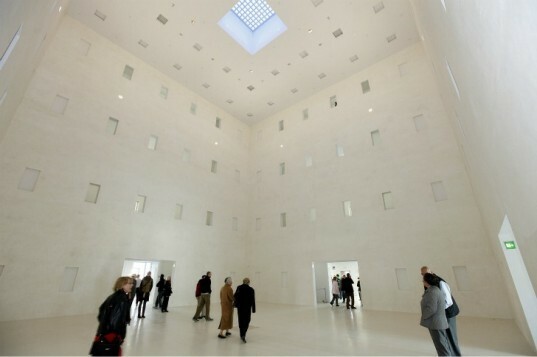 In its white, cavernous, window-speckled hall, stairs connect floors through random pathways, allowing visitors to explore their surroundings while they search for particular books.